Kyle Campbell has launched two startups, Retsly and Hack Capital, and built his engineering teams by hiring developers from Lighthouse Labs in Vancouver! Being a self-taught developer himself, Kyle appreciates the practical skills that students learn in the Lighthouse Labs Web Development Bootcamp, and specifically builds his teams with a focus on supporting more junior developers. We asked Kyle what he looks for in a new hire, whether computer science degrees are important, and his advice to employers who want to hire bootcamp grads! Find out how to get $500 off Lighthouse Labs tuition if you apply before August 10th! Tell us about Hack Capital and your role there! I was previously CTO and Founder of Retsly, which we built and sold to Zillow. I spent two years leading the Retsly team at Zillow as a Group Manager, then recently decided to move on and start Hack Capital, where I am CEO. Hack Capital is in the private equity space, and we build systems of intelligence that help software companies scale intelligently. We’re building proprietary systems that are inspired by the approaches that have been used to accelerate many startups, such as Retsly, to build value quickly over a very short period of time. You’ve hired 10 Lighthouse Labs graduates so far. How did you first get connected with Lighthouse Labs? I met Lighthouse Labs founder Jeremy Shaki on his second day in Vancouver, and he said “Hey I just moved here and we’re starting this thing called Lighthouse Labs, to train people to be programmers, do you want to hire someone out of our first cohort?” I said, “Absolutely, I wish that had existed when I was starting out.” I hired Jason Wan out of the first cohort, and he worked for me for two years at Retsly; he still works at Zillow and is doing very well. After that I hired Stefan Krahn, Colin Clay, and a number of other graduates. I have hired 10 Lighthouse Labs graduates in total over the last four years. Lighthouse Labs has become quite important to our business model. We subscribed to the idea that the majority of the value that a startup can create depends on creating a process, engagement, and vision that translates easily to less experienced developers. As long as you’re able to put that in place, you can be successful. At Retsly, we hired half of our founding engineering team out of Lighthouse Labs and other co-ops, and I have three Lighthouse Labs students working for me right now at Hack Capital. We’re really focused on accelerating the process of building value and doing so in a way that allows us to do so with emerging talent. .
What roles specifically have you hired Lighthouse Labs graduates for? I don’t really hire for specific roles; I mostly hire for generalist roles. I’m looking for problem solvers who are adaptable to the situation. I’m keen on self-directed learners and people who can learn through doing. When I hire Lighthouse Labs graduates, their titles are Full Stack Software Engineers because we expect our developers to work on the back end and the front end. We want to give them a wide breadth of experience, and over time in their career, they can specialize in areas that they find interesting. Other than Lighthouse Labs, how do you usually hire developers? What are you looking for in a new hire? Even within Lighthouse Labs, the number one thing I look for when hiring is a referral. I will always interview somebody who has been referred to me first, because the biggest risk when you hire somebody is culture fit, and work-style. If you’ve worked with somebody, you know that they see things the way you do. So I always let people know when I’m hiring, and that we’re trying to build an engineering-focused culture where there is a lot of ownership; and then I hope those referrals come in. I take a long-term approach to hiring and what I like about Lighthouse Labs is the consistency in their graduates – I know where to start and I know that I can consistently take people from x-level experience to y-level experience in a relatively short time. Do you notice differences in hiring from a bootcamp vs. hiring people with CS degrees out of college? I’ve done a few different types of hiring, I’ve hired from a co-op, I’ve hired some general CS graduates, and I’ve hired interns from different schools. I’m a bit harsh on CS degrees because I’m a self-taught programmer. I didn’t make it to the end of high school, so university was never in the cards for me. I think it’s a very different style of learning. A CS degree is something that is going to help students over the long term of their career, but it won’t necessarily help them get going quickly. Lighthouse Labs is that jumpstart that gets you going really quickly. The absolute best outcome is someone who has a CS degree and then they go through Lighthouse Labs to get job-ready. That person has that foundational, long-term understanding that is going to be really important in their career, but then they’ve also accelerated themselves with some more practical skills. I’m seeing more and more of that. I don’t think there is any disadvantage to a CS degree, but I think it leaves a gap in practical job ready skills that help you to ramp up quickly. Have you worked with any other coding bootcamps yet? What stands out about Lighthouse Labs? I’ve tried to work with other coding bootcamps, but they weren’t as welcoming in some ways. I think that is partially because I’ve worked with Lighthouse Labs from the very beginning and I feel like I’m part of the family, so I’m pretty loyal to Lighthouse Labs. I’ve definitely taken pause and looked at alternative bootcamps, but I just really align with the methodology of Lighthouse Labs. I know most of the mentors at Lighthouse Labs and I know what to expect. I think other bootcamps do a good job, but I don’t see need to hire from other places; if it’s not broke, don’t fix it! 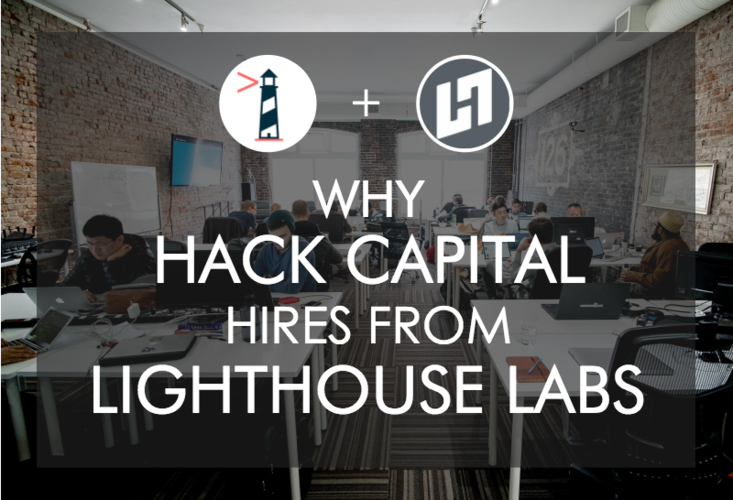 What does the relationship look like between Hack Capital and Lighthouse Labs? Do you pay a referral fee when you hire their graduates or are you paying to be a part of their hiring network? The relationship has evolved a bit. Early on, I was very hands on. But over time, Lighthouse Labs has grown a lot, and they have a lot more companies in their network. Typically when I hire, I will meet students at the Demo Day, but I don’t make my decisions there. I invite students for a second interview. Getting students hired is an important part of Lighthouse Labs’ business model, so I don’t pay any referral fee. I’m a partner in making sure students have potential opportunities on the other side of the bootcamp. And even if I can’t hire the student into my company, I usually try to help find something with one of the companies I’m working with or with friends. I really believe in what they are doing and I like to see junior engineers come out and have a good start to their career. I think it’s a very exciting time for them and I like being able to help where I can. I’m assuming that your hires from the bootcamp went through a technical interview. Do you tailor your process to bootcamp grads? I have one coding test that everybody who comes into the company as an engineer takes. It’s fairly advanced, so a number of Lighthouse Labs students over the years have found it super hard. But I always tell them ahead of time that I’m not really worried about whether you get it right or wrong, I’m just curious about how you try to break the problem down and get as far as you can. It’s not about whether you get to the touchdown line or not, it’s about how do you move the ball down field and break it down. That gives me insight into how a person thinks, what their potential is, and helps me know if they are somebody I can help to ramp up their skills quickly. I don’t expect people to know everything about a job in the beginning, but I do want to hire someone who I’m a 100 percent sure will get there eventually. How do the Lighthouse Labs grads usually do with that coding test? Typically I’ve been very surprised with how well they have done. Generally, they took the problem, tackled it, made the effort and where they didn’t know something, they were able come up with a reasonable assumption. The coding test is an opportunity to sit and talk about their code, and I can give them some practical advice about how they should have done it. Even if I don’t hire them, it was learning opportunity for them. Have you ever been hesitant or had to convince your co-workers to hire a bootcamper? Luckily, I’ve been the decision maker in hiring matters at both Retsly and Hack Capital. Even when I was at Zillow, part of a much bigger company, there may have been more hesitancy, but they trusted my judgement. I think the results speak for themselves and when you’ve been able to do this as many times as I have and take these very inexperienced engineers and have them complete very experienced tasks, you build a bit of a reputation and people stop doubting it. I know there is some concern out there from many different companies, but this is something ingrained in my philosophy and the culture of the companies I start. How do you train and mentor a new hire when they first start working with you? Code reviews and pair programming are big opportunities to really teach people – I’m able to review and point out best practices. I try to focus on a senior to junior developer ratio of about 1:3, and put a process in place that ensures we have mechanisms for feedback. I believe that the most important part is helping new hires to build confidence quickly. I’ve written about this in the past, but I really believe that the only difference between a senior and junior engineer is confidence. Apart from confidence, which comes from experience, we all start every problem off the same way; we don’t know the answer, until we do. Since you started hiring from Lighthouse Labs, have your new hires moved up or been promoted? Or do you anticipate that they will? Absolutely. 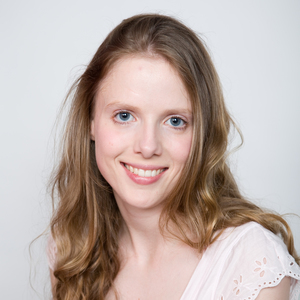 At Resly, we hired at least three engineers who became Senior Engineers within at least two years. Like any acquisition, when Resly was acquired by Zillow, the team was a huge part of the value proposition, so I was very proud to have a number of Lighthouse Labs students on our team, and to see them continue to be promoted afterwards. Now I work with a fresh bunch of Lighthouse Labs grads at Hack Capital and things are looking really good! Will you hire from Lighthouse Labs in the future? Why or why not? Absolutely. Hack Capital will likely hire another five Lighthouse Labs engineers in the next six to 12 months, and I think the companies I work with will probably hire another five to 10, so I expect that we’ll be hiring quite a bit from Lighthouse Labs. It’s hard to predict those numbers exactly. But not only are we hiring from Lighthouse Labs, we’re also actively seeking out strong senior engineers who have a keen interest in mentoring. If you are one of them, give me a shout! We’re hiring and we want to hear from you! 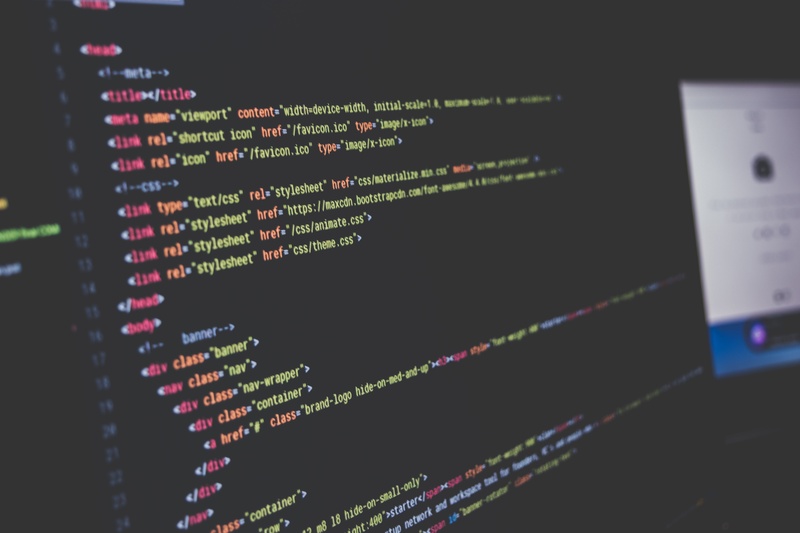 Do you have any advice to other employers who are thinking about hiring from a coding bootcamp? Don’t be afraid to hire juniors! I think it’s a toxic mindset to believe that your business priorities cannot allow you to take a step back and look at how you build long term value by developing emerging talent. My advice to companies considering Lighthouse Labs grads, is to constantly invest in your people. Find strong senior engineers who like to mentor, and build a culture focused on making people great around you. If you can take this philosophy and ingrain it in your culture, you will be successful. As long as you’re willing to invest the time and effort into mentoring bootcamp grads, you’ll have team members who greatly respect you, who are completely loyal, and will surprise you consistently with what they are capable of. Find out more and read Lighthouse Labs reviews on Course Report. Check out the Lighthouse Labs Student Outcomes Report.